ROAD TOWN, Tortola, VI – The freedom of any one person is considered sacrosanct, according to Magistrate Dr. Velon John, hence the reason bail has become a right before the courts. Magistrate John made the proclamation yesterday, January 9, 2014 during a hearing that was expected to be the restart of a trial for Vincentian, Glenroy Pierre. Pierre, who has been on remand for some 16 months, pleaded not guilty to charges of illegal entry in addition to charges of supplying or offering to supply a controlled drug, possession of a controlled drug, importation or being concerned in the importation of a controlled drug and unlawful possession of a controlled drug. Trial had begun for the defendant, who was previously unrepresented, but this was aborted after Pierre demanded representation citing unfair treatment in the trial and the simultaneous departure of Senior Magistrate Tamia Richards for maternity leave. 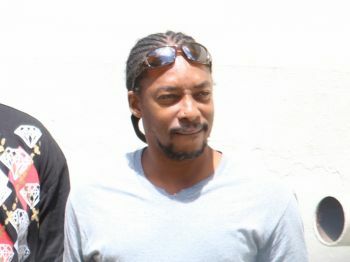 Pierre, after complaining of the constant adjournments before his first trial, had previously been told by Senior Magistrate Tamia Richards that his situation was not unique as some matters took over a year to begin at the Magistrate’s Court. The Crown, represented by attorney, Herbert Potter, indicated yesterday that they would not be able to begin the trial as the investigating officer is on leave and out of the jurisdiction and an immigration officer expected to testify was ill.
Potter further stated that the defence asked for re-disclosure of the documents pertaining to the trial, some of which had already been put into evidence in the preceding trial. Defence attorney, Patrick Thompson argued that there was no excuse for the prosecution offering reasons for the absence of two of six possible witnesses, when there were four others who could have given evidence to proceed with the trial, all of whom happened to be Police or Immigration Officers. Magistrate John said there was a clear dereliction of duty under the circumstances and someone must account for where the witnesses are. He further indicated that the circumstances amounted to an abuse of the process and referred to the situation as maladministration. “As I stated before, I have difficulty making peace with administrative mediocrity,” Magistrate John said. He added that it was for this reason he had written the Governor and the Deputy Governor on the attendance of officers at the Magistrate’s Court. He expressed hope that the defendant would have his day in court as soon as possible and said the system owed Pierre an apology. “But the system is not getting a salary at the end of the month,” he continued while noting that it was the responsibility of individuals to ensure that proper systems were in place to ensure attendance at court. Persons, he stated, were not doing what they are supposed to do and if the system was not working it should be rectified. After a lengthy debate between the defence and prosecution, Magistrate John set Pierre’s trial for restart on February 5, 2014. As we say in the BVI, It ain't over till the fat man sings. What is up with those shades. I don't know why the court allow them to wear it. I thought there was a new dress code so why. Also they should not be allowed to wear them so we the public can see their faces and know who to look out for. I would think that the officers would know the Court's schedule and be responsible for not vacationing at a time they are expected in Court. I like this judge. Some these ppl go to law school and come back to try intimidate others with an LLB. thank God it have those with the Phd with logical thinking to deal with ppl. Send her home now and justice for all. Too many ppl on remand for years waiting on trial. The only sending home I see necessary is all who waiting for trial and can't get one. An exception need to be made and deport them ALL with no possibility to re-enter the country. Don't waste no money on trial and for god's sake no more funds to feed and lock them up.